NEW BRUNSWICK, N.J., – September 15, 2017 – Johnson & Johnson (NYSE: JNJ) announced that Janssen Research & Development LLC (Janssen) are collaborating with the U.S. Department of Health and Human Services’ Office of the Assistant Secretary for Preparedness and Response (ASPR) to develop a comprehensive portfolio of therapeutics and vaccines to protect communities in the event of an influenza pandemic and other infectious disease threats. Today, there are more than one billion cases of influenza globally each year, resulting in approximately five million cases of severe illness and up to half a million deaths.1 The new collaboration has been formed as the centenary of the world’s worst influenza pandemic approaches. In 1918, the “Spanish Flu” caused approximately 50 million deaths worldwide and experts predict that a pandemic could be far more devastating if it happened in today’s globally mobile world.2,3 New innovations for influenza are needed to address the shortcomings of current preventative and therapeutic options as well as concerns about the growing emergence of antiviral resistance. Other Transaction Authority (OTA), Janssen and BARDA, a component of ASPR, will invest equally to advance Janssen’s extensive portfolio of investigational influenza medicines and vaccines throughout the duration of the collaboration. This portfolio based partnership and combined investment will ensure that vital research is made possible. 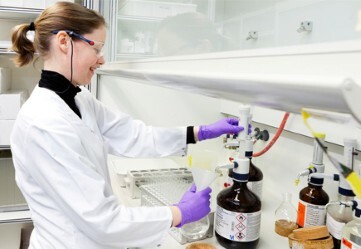 Assets within Janssen’s portfolio include JNJ-5806 (formerly AL-794), a potent small molecule inhibitor of influenza A and B viruses including strains with pandemic potential, and a “universal” vaccine candidate, which aims to protect against all influenza strains. Additional investigational products in the portfolio include therapeutic monoclonal antibodies, as well as new targets for emerging pathogens of potential public health concern. BARDA began using OTAs to create innovative business partnerships with industry that ensure more products reach the market, and that the public has access to important countermeasures. If new medicines from this portfolio are approved, Janssen will work with relevant health stakeholders to ensure that these products are accessible. This agreement further builds on the collaborations Janssen and BARDA have already established in influenza with pimodivir, our potential first-in-class inhibitor of the PB2 subunit of the influenza A polymerase complex, as well as in response to the 2014 Ebola outbreak in West Africa. This partnership provides a further portfolio of potential solutions to address the impact of influenza. Caring for the world…one person at a time, inspires and unites the people of Johnson & Johnson. We embrace research and science – bringing innovative ideas, products and services to advance the health and well-being of people. Our approximately 132,500 employees at more than 250 Johnson & Johnson operating companies work with partners in health care to touch the lives of over a billion people every day, throughout the world. At the Janssen Pharmaceutical Companies of Johnson & Johnson, we are working to create a world without disease. Transforming lives by finding new and better ways to prevent, intercept, treat and cure disease inspires us. We bring together the best minds and pursue the most promising science. We are Janssen. We collaborate with the world for the health of everyone in it. Learn more at www.janssen.com and follow us at @JanssenGlobal. This press release contains "forward-looking statements" as defined in the Private Securities Litigation Reform Act of 1995 regarding a public-private collaboration to accelerate development of treatment and prevention options for influenza and other infectious disease threats, and accessibility of any new medicines approved through the partnership. The reader is cautioned not to rely on these forward-looking statements. These statements are based on current expectations of future events. If underlying assumptions prove inaccurate or known or unknown risks or uncertainties materialize, actual results could vary materially from the expectations and projections of the Janssen Pharmaceutical Companies and Johnson & Johnson. Risks and uncertainties include, but are not limited to: the potential that the expected benefits and opportunities related to the collaboration may not be realized or may take longer to realize than expected; challenges and uncertainties inherent in product development, including uncertainty of clinical success and obtaining regulatory approvals; competition, including technological advances, new products and patents attained by competitors; challenges to patents; changes to applicable laws and regulations, including global health care reforms; and trends toward health care cost containment. A further list and description of these risks, uncertainties and other factors can be found in Johnson & Johnson's Annual Report on Form 10-K for the fiscal year ended January 1, 2017, including under “Item 1A. Risk Factors,” its most recently filed Quarterly Report on Form 10-Q, including under the caption “Cautionary Note Regarding Forward-Looking Statements,” and the company's subsequent filings with the Securities and Exchange Commission. Copies of these filings are available online at www.sec.gov, www.jnj.com or on request from Johnson & Johnson. Neither the Janssen Pharmaceutical Companies nor Johnson & Johnson undertakes to update any forward-looking statement as a result of new information or future events or developments. World Health Organization. Influenza (seasonal). [Online]. Available at: http://www.who.int/mediacentre/factsheets/fs211/en/ Last accessed September 2017. The Next Pandemic: On the Front Lines Against Humankind’s Gravest Dangers. Khan A., Patrick W. 9781610395915. Public Affairs, 2016.